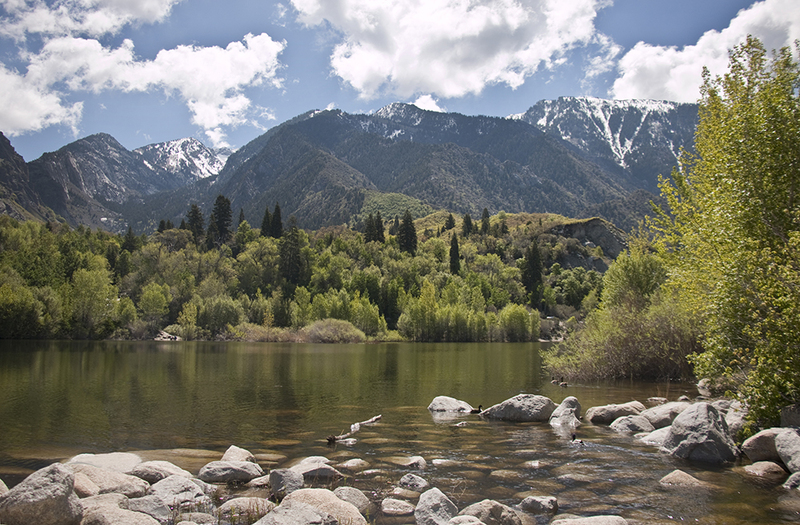 Bell Canyon Reservoir is a beautiful spot to hike that offers beautiful views of the Salt Lake Valley along with views of the Wasatch Mountains. 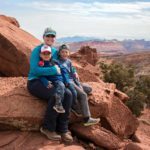 There are two trailheads to choose from; this post is about the Granite Trailhead. The parking lot is on the small side, but the City of Sandy added an overflow lot just around the corner on Wasatch Blvd. The overflow lot is sometimes closed in the winter. 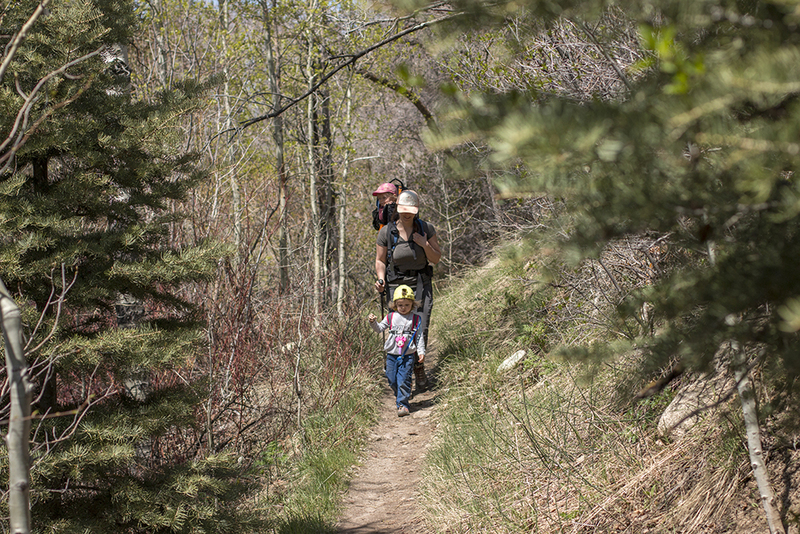 It’s a great hike for preschoolers and up. Young walkers should be worn in baby carriers. 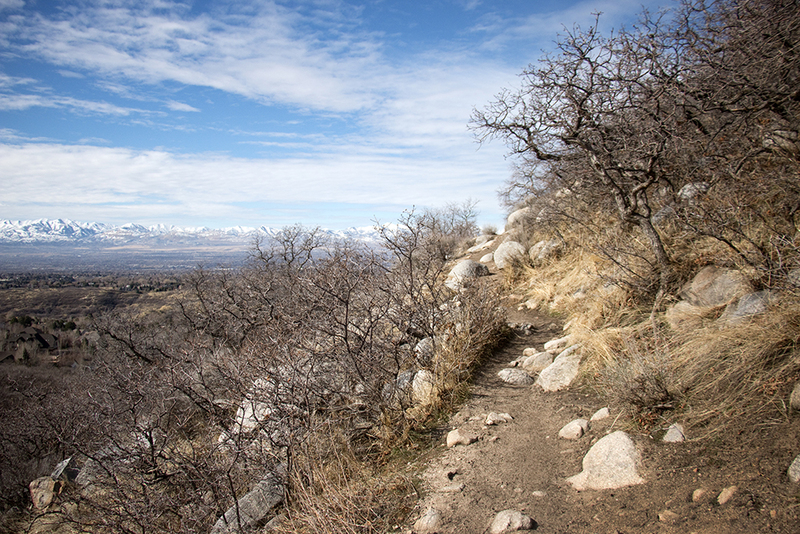 The beginning of the trail is the hardest part in my opinion, with a half dozen rocky switchbacks that bring you up and over a hill to descend into Bells Canyon. Once the switchbacks are done, the trails gets easier and you’ll find yourself at the reservoir after just 3/4 of a mile from the trailhead. At the reservoir, you can choose to explore or have a rest and a snack on one of the handful of benches in different spots. 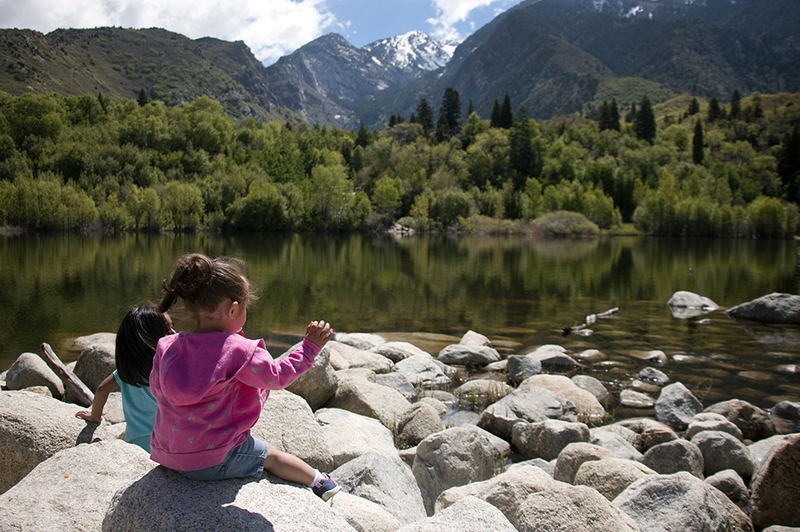 We usually hike the trail that meanders around the reservoir and then stop at the big rocks for a snack. The trail includes lots of shade and a small bridge that goes over the creek that feeds the reservoir from higher in the canyon. 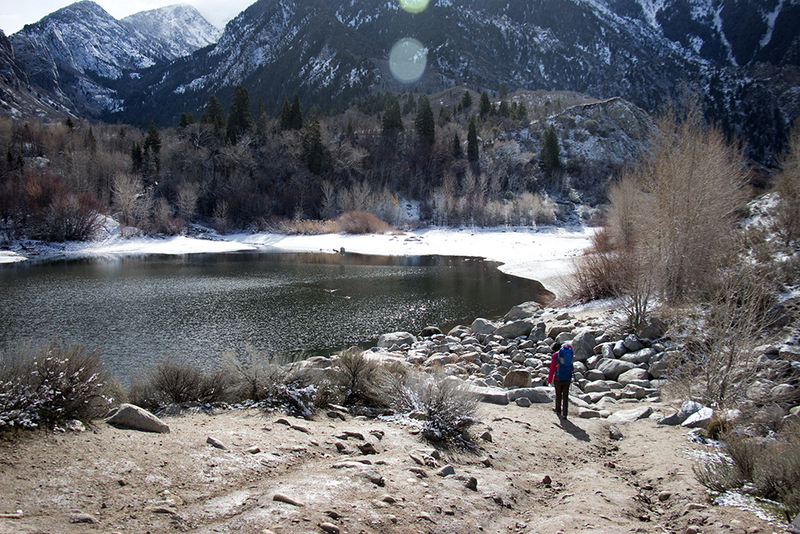 The water level of the reservoir can vary greatly throughout the year depending on rain and snow melt. 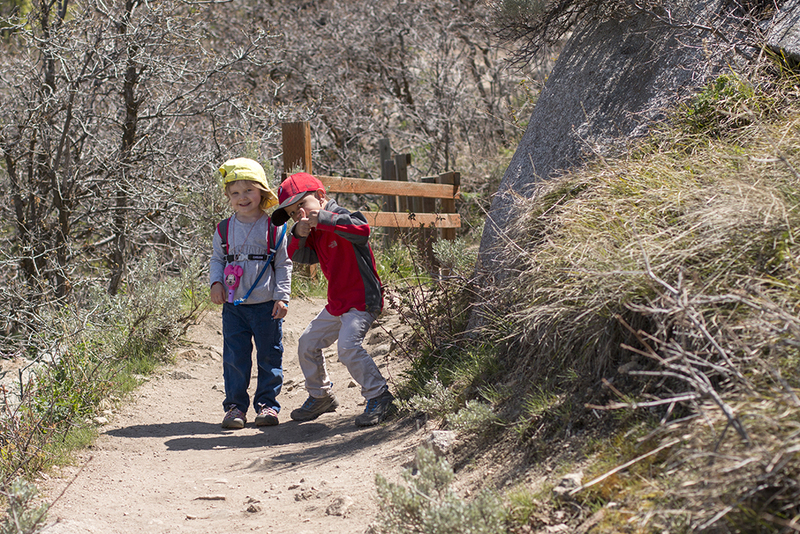 The switchbacks at the beginning of the hike can sometimes have slippery gravel for little ones. 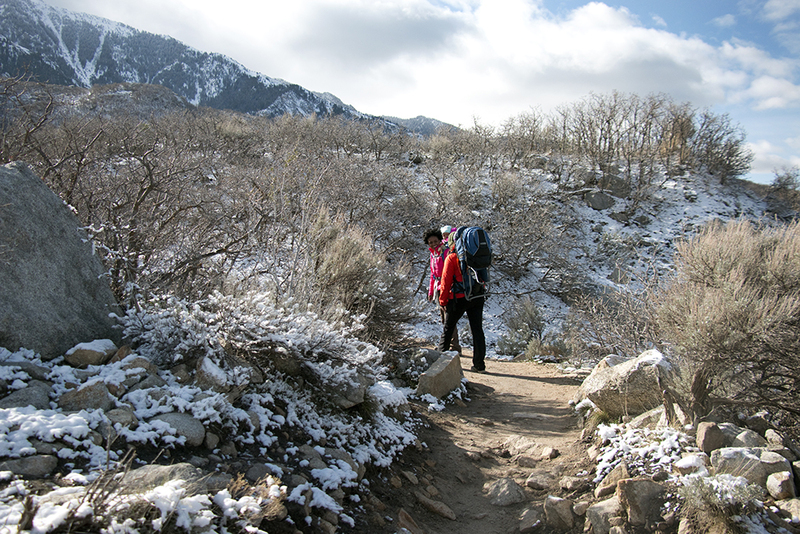 Hand holding or wearing in a carrier is recommended; especially when heading downhill. There is a dropoff on one side during a small part of this trail.